PLEASE NOTE: THIS FORM IS ONLY FOR BUSINESS QUANTITY GIFT CARDS. 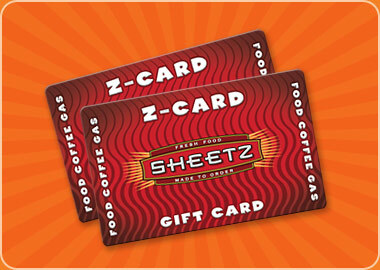 Available for your business needs in denominations from $10 to $100 and good towards any purchase at all of our Sheetz locations! © Copyright 2016 Sheetz, Inc. All rights reserved.